There is an abundance of IT talent in Ireland. Still, the number of open positions is at times far greater than that of available Candidates. This usually happens when a new US multinational has a big recruitment drive. When a company opens 100 Java Developer jobs and starts aggressively hiring, the local supply will eventually dry up. At that point, anyone looking to hire a Java Developer in Ireland will have a problem to do so. What to do when that happens? Obvious choice is to look over the border. There are several ways of recruiting IT talent from abroad. The initial approach to Candidates will differ between companies and the interviewing part might be organised in various ways. Up until recently this was the most popular method. Advertising on the local job boards in countries that have a good talent pool for the required skills. This can be very expensive, if you don’t know what you are doing. Recruiters love LinkedIn. It enables them to reach to anyone on the network and source the talent globally for a relatively small cost. This is the most popular way of attracting the talent from abroad in Ireland today. It is also the fastest growing method; hence its effectiveness is in rapid decline. There are more and more Recruiters using it and they have to become more aggressive as less IT talent is available. Also the Recruiter would consider anyone on LinkedIn as a Candidate, and would reach to every one of them without thinking twice. For those experienced IT professionals that are on a receiving end of this constant barrage of job offers, the most common action is to ignore the Recruiters on LinkedIn by default. 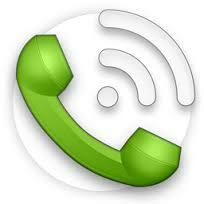 This approach usually requires the knowledge of the local language for the market you are sourcing from. This is a real blocker for 95% of the Recruiters in Ireland. The remaining 5% of the Recruiters with the local language skills, especially if they understand the local culture as well, will find that this method has the most attractive ROI. How do you interview remote Candidates? Initial phone screening is by far the most common method, either over the phone or Skype to mind the overseas calls costs. Some corporate Recruiters use the video conferencing tools, but those are more common at a later stage in the interview process. Testing remote IT candidates for their skills is usually done online, before face to face interviews. There are number of companies facilitating these tests, however minority of the hiring companies use their services. Start-ups never use them. This is simply because in a techie start up a founder if often a techie and as such would be able to get the level of the candidates skills even over the phone chat, and usually better than any automated testing tool could provide. Also, when hiring a software developer with specific “hot” skills that are in high demand, you will most likely be faced with fewer Candidates. Unless you are Google, where the brand is a great attraction and the recruitment process has to be far more “organised”. Have a client facing technical sales or a consultant role? You will most likely want to “see” the Candidate. Here is where the video interview has a big value. Skype is the most used tool, although most of recruitment platforms have some video interviewing options built in. The speed of the internet connection and the cameras on the laptops, tablets and phones are improving at such speed that it is common to have a video interview in the HD resolution, which was unthinkable only a short while ago. It is also a common situation now that we have a faster internet connection at home than in the office, so the Candidate will likely be on a faster link than a Recruiter in the office. Video just started to work lately. If you didn’t try it in the last year, you will be surprised to see where it’s quality and reliability is now. Minority of the companies actually do it nowadays. Why? I am guessing the video interviews, especially when the free software like Skype is readily available (with the super high quality of the voice and the picture), have replaced the need for flying the candidates in for the face to face interview in most cases. Some companies still do it, but for selected roles only. Some companies do it as a sales tool, to show their fabulous facilities and attract the right (best) talent. I also see some companies who are located outside of the main cities, flying their candidates in for the final interview, and as well showing them the town to make sure the candidate is aware that they will not live in Dublin, and that Temple Bar area is not just around a corner. What I found works the best is if you combine the number of approaches above and organise your own Recruitment Day abroad. Advertise locally in the country from which you want to attract the Candidates. Use LinkedIn “wisely” – not as a Recruiter! Sourcing the Candidates in the local social networks, forums, blogs, Facebook and Twitter in the local language will also help you fill the most “hard-to-hire-for” job vacancies. Fly your company Recruiter and a few Hiring Managers, to make a round of the last interviews of already pre-screened and phone & video interviewed candidates. Make sure you have some printed Letters of Job Offer (or Letters of Intent) to get the Candidate signatures there and then. Yes, it does require your own team to fly to some foreign country over the weekend, but also generates results that cannot be matched in any other way, especially if you are hiring for a number of job openings. 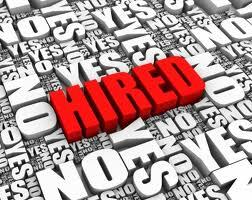 You should not be surprised to get new hires in a weekend Recruitment Days organised well. And all that at the time where no such skill is available in the local Irish job market! At Irish Recruiter we organise Recruitment Days for our clients in various European cities with great success. 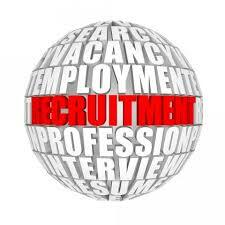 Talk to us to see if Irish Recruiter could organise a Recruitment Day for you: 01 440 1900.